We take an enormous pride in creating our bagpipe reeds and hope that you'll find our website beneficial. Our aim is to be the best maker of reeds and provider of services to the piping community world wide. We strive to meet and exceed our customer’s expectations. Please explore our bagpipe help pages. Here you will find detailed help guides to setting up drone reeds and fine tuning your chanter reeds in order to obtain the very best from your musical instrument. There are comprehensive guides on maintenance, hemping and seasoning provided for your information. Please feel free to share these pages. 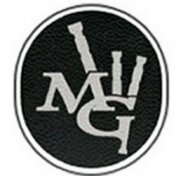 Based in Kilmarnock, Scotland, within the McCallum Bagpipes factory we are in a unique position to provide our customers with the very best bagpipe reeds, bagpipes and accessories available today. We have secure on line shopping facilities and all the McCallum Bagpipes we supply are hand selected by us to ensure that you are receiving the very best of the best. All the bagpipe reeds and small pipe reeds manufactured by us are individually tested to ensure stability of tone and quality of craftsmanship. Please feel free to contact us should you have any requirements.